LINCOLN, NEBRASKA, UNITED STATES, April 8, 2019 /EINPresswire.com/ — Digium – A Sangoma Company, announced its annual Pinnacle Partner award winners, recognizing Bizco Technologies as an outstanding channel partner. Award winners were selected based on their annual sales from 2018, and commitment to excellent customer satisfaction. 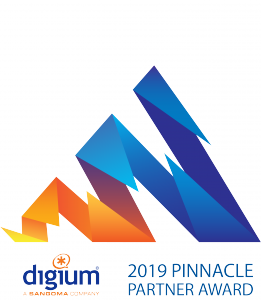 The Pinnacle Partner awards are presented annually to Digium’s leading partners who have excelled in developing and growing their relationship with Digium. These outstanding partners consistently put their customers first, while successfully growing revenues with the implementation and delivery of Digium’s Switchvox Business Communications Solutions, Switchvox Cloud (hosted services), and Asterisk Custom Communications Solutions. Partners are certified to sell Switchvox Unified Communications (UC) on-premise and cloud services, SIP trunking, IP desktop phones, gateways, and telephony cards. Bizco Technologies is proud to receive the Pinnacle award from Digium for outstanding sales as a partner. Bizco focuses on suppling their clients with what is considered to be the best value based VoIP UC solution in the market, has set them apart from their competition. Bizco Technologies dedication to ensuring their clients have the best solution for their needs is just part of what garnered them the award. Bizco Technologies has been a national solutions provider for 25 years, specializing in Managed IT and AV solutions for small and medium sized businesses to Fortune 500 companies. Bizco is a leader in providing not only a full suite of IT services including network management, voice/data convergence, business continuity and rugged mobile computing, but also fixed and mobile surveillance, audio visual design, installation and services. For more information on how Bizco Technologies can help you, check out our website at www.Bizco.com, email us at sales@bizco.com, or call 800-424-9677. Digium is a subsidiary of Sangoma Technologies, who together is the largest supplier of open source communications solutions. Digium remains the sponsor and maintainer of the Asterisk project, with its open source code available for free. The developer community that uses and continually enhances Asterisk now includes some of the brightest minds from 170 countries, with close to two million servers running Asterisk. Digium has continued to build and offer ancillary products and services to extend the power of Asterisk, including telephony cards, IP phones, and SIP trunking services.